Q1. Who is your top RB sleeper (ADP beyond 120) and why should fantasy owners target him? Q2. 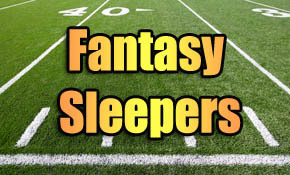 Who is your top WR sleeper (ADP beyond 120) and why should fantasy owners target him? Q3. Who is your top TE sleeper (ADP beyond 140) and why should fantasy owners target him?